I chose to read The Diary of a Young Girl by Anne Frank as my January Classics Challenge book (Read 15th – 26th Jan 2016). I actually listened to the audiobook of the 70th anniversary edition which was read by Helena Bonham Carter who was an excellent narrator. I’m going to structure this post by answering the questions that Stacey suggests. I’ve known about this book at least since my early teens, if not before. Because despite knowing about it for around 20 years I hadn’t read it already. World War II and the treatment of Jews in the Holocaust is a topic that is so important to be aware of. I find having a personal story to connect to these bigger events useful. If I ever visit Amsterdam I would want to visit the house so knowing the full story would make that experience more insightful. As I’ve written above, this is a human story that connects us to a great atrocity. Reading the diary of a girl who we know dies in tragic circumstances adds a certain sense of poignancy to what she writes. I guess going into this I expected Anne to write more about the war, but, although aspects of this are highlighted the focus is the thoughts and experiences of a fairly typical teenage girl in non-typical circumstances. 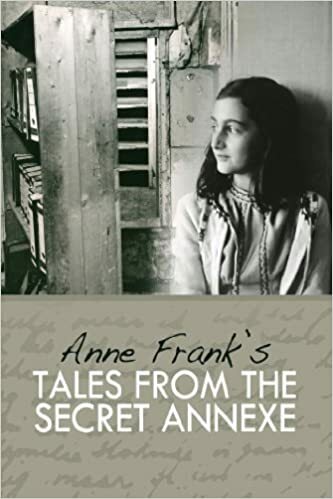 Anne, her family, and some other Jews hid in a secret annex in a warehouse from July 1942 until August 1944 when they were discovered by the Nazis and taken to camps. Anne comments on the circumstances leading to the decision to go into hiding, the personalities and relationships between everyone in the annexe, the food they ate, clothes, birthday presents (life went on), the help they got from those who hid them, what she was learning and thoughts about books she read – she’d be a book blogger in today’s world. 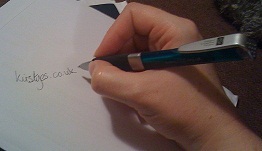 I immediately connected with Anne on a personal level – she was a writer and aspiring novelist. She was also pretty witty, and bitchy, much like the narrators in modern young adult literature. She was a deep thinker and constantly trying to discover and ‘better’ herself. Most importantly though she wasn’t perfect, she was flawed and says some fairly mean things at times. We see her development across those two years, as well as hints at a growing romance that was never to come to fruition. The closing comment in the diary definitely bought a tear or two to my eye. I won’t spoil it though, it’s more important for you to come to that end on your own. As long as war continues to be a problem and people are affected by it, this will remain a classic, so yes. It will definitely be a book I listen to again. It is a classic ‘Young Adult’ book that deals with finding one’s identity. Everyone. In particular I think it would speak to young girls, Anne talks about boys, periods, her relationship with her family – siblings and parents and generally about everything that interests her. I’ve purchased this book of stories (including an unfinished novel) and essays written by Anne. Will be interested to see how it lives up to the diary. United States Holocaust Memorial Museum has a mini site dedicated to Anne as a writer. Have you read – The Diary of a Young Girl – what did you think? Welcome to my stop on the #WeAreChangers Blog Tour. The first book in the Changers series – Drew – was released in the UK on 14th January. I was lucky enough to access an e-review copy before Christmas and I think the YA community are going to really enjoy this series. The strapline: The Cheerleader, the Nerd, the Jock, the Freak. What if you had to be all four? indicates to me that other issues of equality and understanding of difference will be explored. I’m already anxiously awaiting June when we will follow Oryon for the year. The authors T Cooper and Allison Glock-Cooper have developed a website ‘We Are Changers’ alongside the books which is an empathy project designed to encourage us all to consider the views of others. As part of this blog tour we were asked to post ‘Unselfies’ – to turn our cameras round, focus outward and capture feelings. On the 2nd January I visited the Harry Potter studio tour for the 6th time. One of the things that saddens me when I go is the fact that so many people rush past elements of the tour (especially the design aspects). When the staff tell me they’ve had people complete the tour in 20 minutes I wonder what they can possibly have taken in. So, I tried to look beyond the obvious and at the detail. People have spent ages creating these items and we have the rare opportunity to access it. Hope you enjoy the selection of Unselfies below. My hat goes off to the crew who made the wizarding world extra magical. Look at the detailing on this book that I don’t think I even saw on screen?! Buckbeak had all the feathers inserted individually. The animatronic model is so regal. In the third book Draco’s reduced empathy is demonstrated when he insults Buckbeak. Detailing on the Curtain’s in Dumbledore’s office. Texture adds reality. Did you know the catch on the golden egg was shaped like an owl? Until I visited the Studio Tour I didn’t. Look beyond the obvious, check out the detail. With people look beyond the behaviour and see if you can understand the motivation. The reasons behind someone’s actions might surprise you. Explore your own motivations, explore who you want to be. What would you do if you woke up as a different person tomorrow? I recently wrote about my 16 most anticipated books of 2016, however I’ve set my Goodreads reading challenge at 100 again (I need to fit in some writing too) so I’ve decided to take part in a couple of challenges to help reach that target (not that I don’t have plenty of books available to read). Firstly I’m going to join in with ‘Our Shared Shelf’ the Emma Watson instigated Feminist book club on Goodreads. I have the first book My Life on the Road by Gloria Steinem on my kindle ready to go and am looking forward to seeing what else gets selected over the year (12 books in total). 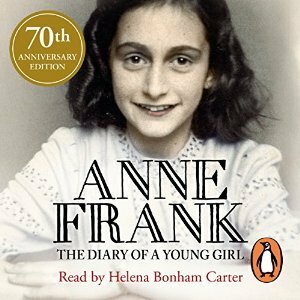 Diary of a Young Girl – Anne Frank – I can’t believe I haven’t actually read this already. I am shamed. Therefore I have already started this and am listening to the audiobook narrated by Helena Bonham Carter. I’m actually really enjoying it. Anne’s voice is similar to the witty teens I am used to reading in YA books. The Art of Happiness – The Dalai Lama and Howard Cutler – I own this in hardback and am interested in seeing what it says and how it links to other concepts around happiness I’ve read recently. 1984 – George Orwell (I don’t own this and have never actually read it, or even seen a dramatised version) however this month I’m also planning to re-read Brave New World – Aldous Huxley which is one of my favourites and probably the first dystopia I read. Anne of Green Gables – L.M. Montgomery – Holly Smale’s favourite book and one I have neglected. I have this on kindle. I think it might even be the whole series. The Handmaid’s Tale – Margaret Atwood. I actually started reading this at the end of 2015 but for some reason put it down, not that I wasn’t enjoying it. I’m going to give it another go this year. Never Let Me Go – Kazuo Ishiguro – I loved the film version of this and as it’s over 10 years old now I think it can be classed as a modern dystopian classic. The Hitchhiker’s Guide to the Galaxy – Douglas Adams – I know the answer is 42 but I’ve not actually read this!!! The City and the Stars – Arthur C. Clarke – a sci-fi/dystopian classic. I don’t own this yet. Battle Royale – Koushun Takami – I don’t own this but as a fan of The Hunger Games I’m interested to compare them. The Outsiders – S.E. Hinton – Another YA classic and I will add in a re-watch of the film this month too. Of Mice and Men – John Steinbeck – I don’t own this either and wasn’t in the right English group at school to have been introduced to this classic. Oddly enough tonight at 8pm is the first #ChatClassics twitter chat to discuss the challenge so I might pop in. Are you joining in with either of these? Are there any others you think I should check out?